An ancient evil awakens, one so long forgotten by the modern world that even the Justice League of America is unprepared to meet it. 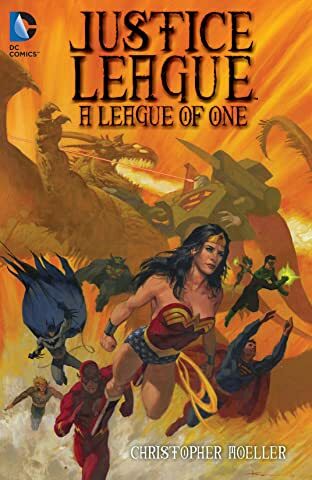 When a prophecy foretells their deaths at the claws of the last dragon on Earth, Wonder Woman must tear apart the League she loves in order to save them. But will that be enough to thwart fate? A shipwrecked alien on the JLA Watchtower lands the Justice League in the middle of a generations-long war between two civilizations. But the motives of both sides are shrouded in secrets, and when the League attempts to learn the truth, they instead uncover a danger that threatens to unmake reality itself! 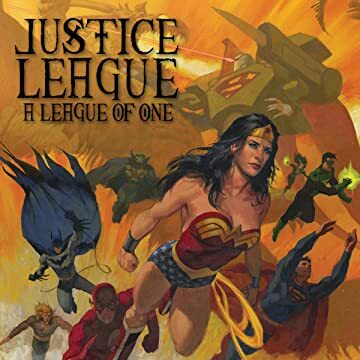 Written and painted by master storyteller and artist CHRISTOPHER MOELLER, JLA: A LEAGUE OF ONE and JLA CLASSIFIED: COLD STEEL—collected together for the first time—reveal never-before-seen sides of the legendary Justice League of America, all presented in Moeller's extraordinary artwork.